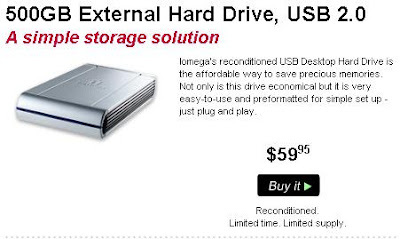 Bryson Michael's Blog: Iomega 500 gigs for $60!? I just got this email from Iomega. Sign up for their email service because they have great deals on storage!